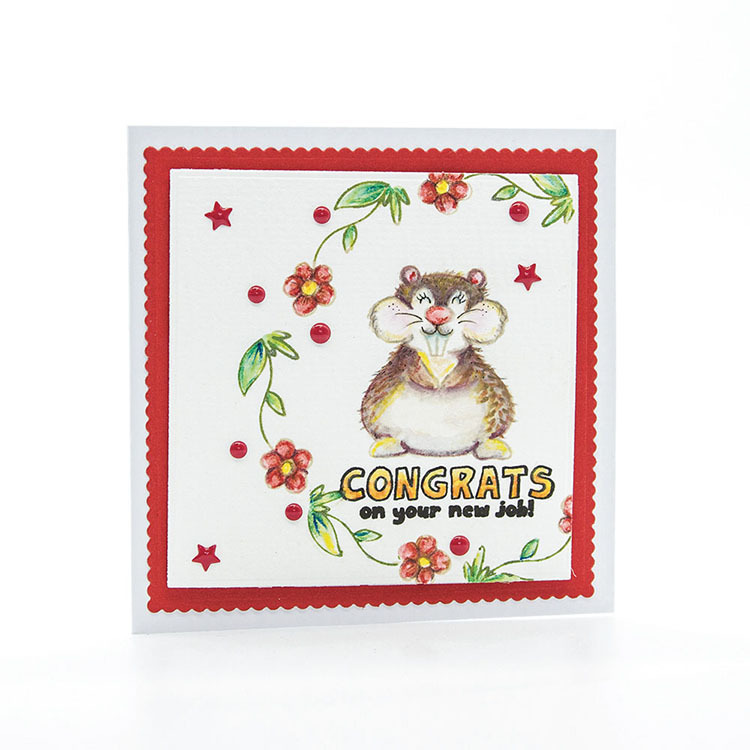 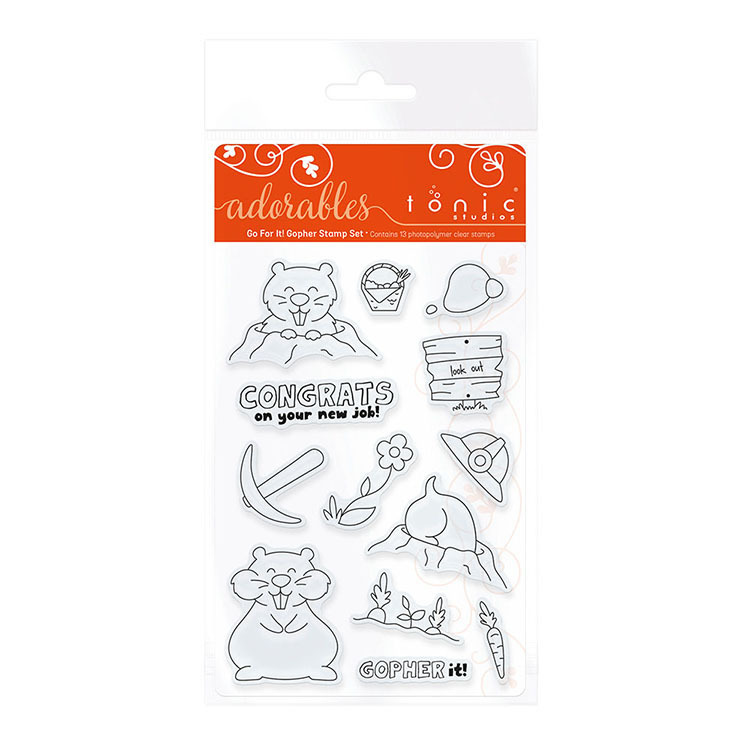 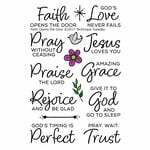 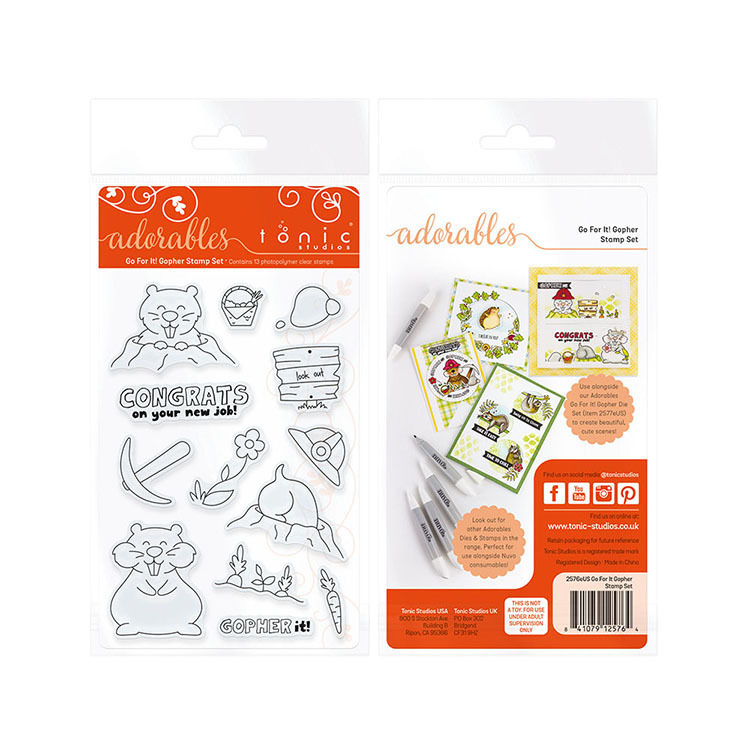 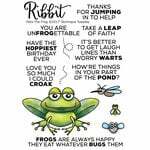 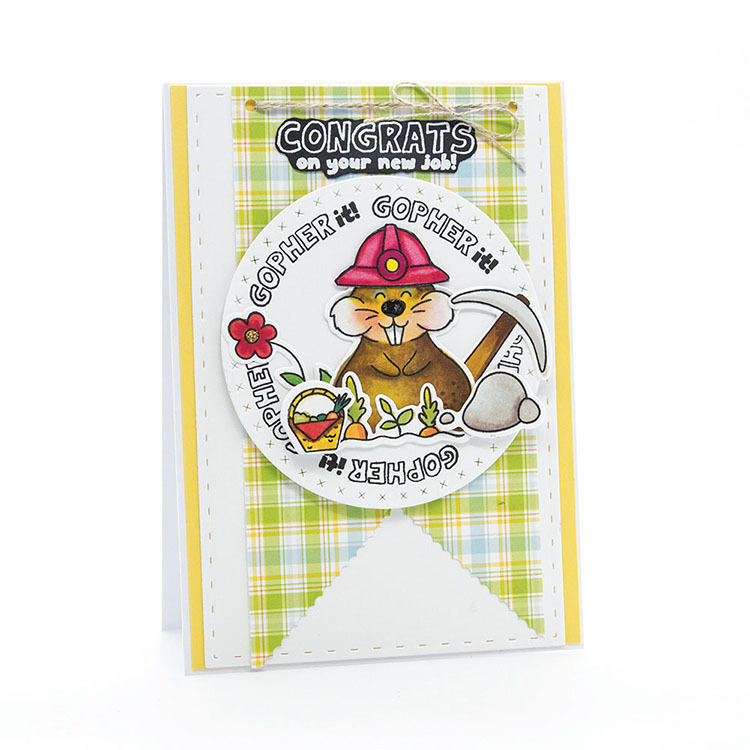 Wish someone best wishes as they move on to a new chapter in life with the Adorables Go For It Gopher Stamp Set by Tonic Studios. 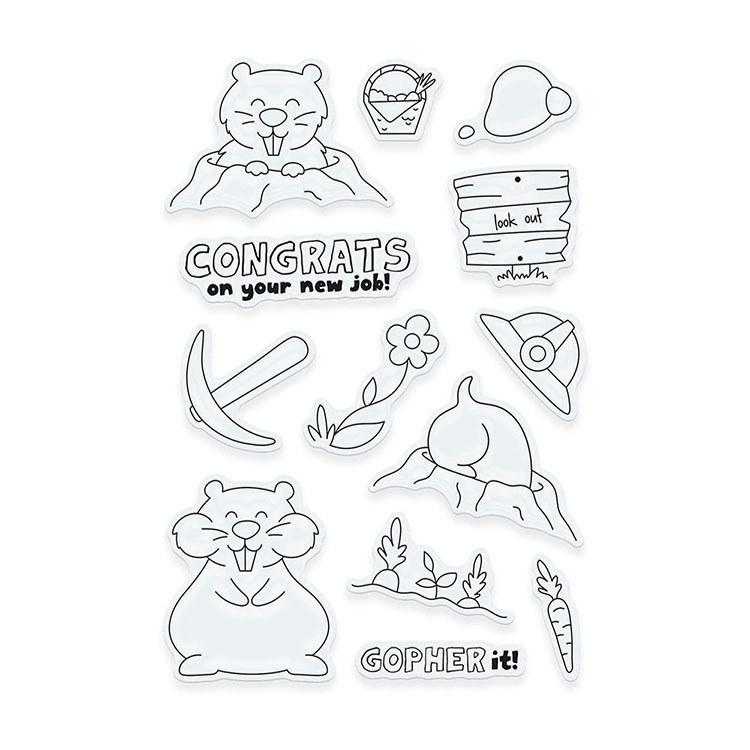 Included in the package are 13 clear photopolymer stamps featuring 3 gophers, a hard hat, carrots, sentiments including "gopher it," "congrats on your new job!" and more. 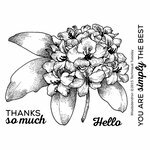 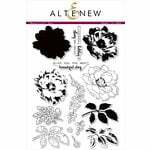 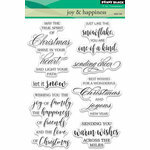 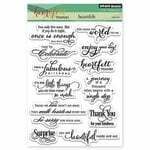 You can use this set with your favorite inks and an acrylic block (sold separately).